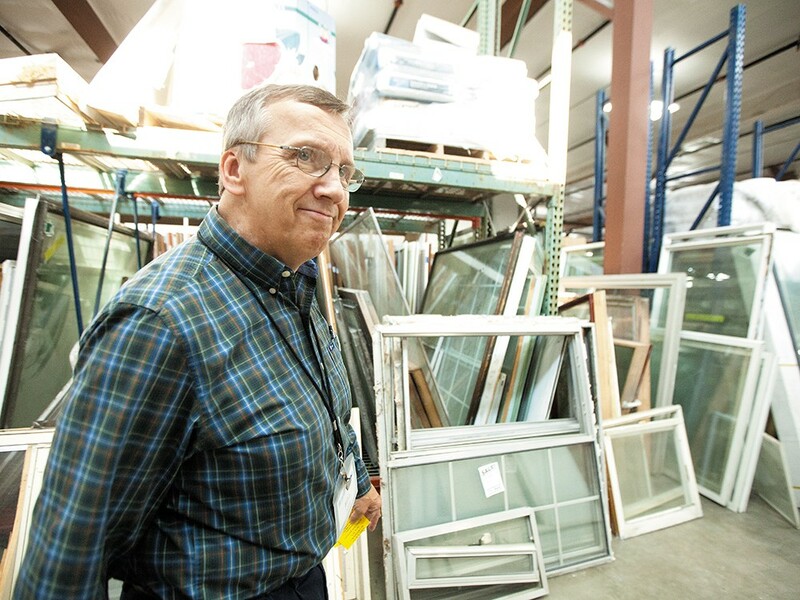 Bill Easley, 59, has been looking for full-time work since he was laid off in 2011. Every morning at 5:30, Bill Easley wakes up in a rented basement apartment where his budget for the month is taped to the wall. He spends the days that follow selling building materials for minimum wage at the Habitat for Humanity store or tweaking his résumé for every job opening he comes across. He fills a 3-inch-thick binder with job postings and cover letters. On weekends, he visits his sister or his aging parents. But mostly, he waits. He waits for good job postings, for callbacks, and most of all, for some direction. Easley, 59, with soft blue eyes behind wire-rim glasses, used to sell real estate, then environmentally friendly building materials to architects. Today, he’s unemployed, surviving until recently on unemployment benefits and 18 hours a week at Habitat. Now, the benefits are over and the $165.42 a week — $661.68 a month — is all he has to budget. This is the life that’s left when the promise of a comfortable retirement is gone, washed away with the other certainties of previous generations. Easley is one of about 100 Eastern Washington seniors looking for help from the AARP’s Senior Community Service Employment Program. The organization matches people who are often near or past retirement age with local nonprofits for part-time work, while helping them fine-tune their résumés to find something permanent. “I’ll probably never know what retirement is,” Easley says. Easley grew up in Spokane, Pullman and Yakima. He got his GED, and when all the other 18-year-olds in town were saying they were going to move away, he really did it. Across California, he did everything from managing a Skipper’s to selling real estate. In that business, someone told him he should set up his 401k. But times were good. He didn’t think he’d need it. Now he sets up a meeting at a Starbucks, but doesn’t order anything. He’s traded in his smartphone for a $5-a-month “Obama phone” plan, a federal program through the FCC to give low-income people access to phones. This week, he’ll park his car and ride the bus instead. And even though he wants a permanent job, he’s considering turning to a temp agency.